What a great way to start the new year with some great feedback from one of our families! Thank you for sharing your “kids” with all of us! Hello from Ellie and Gracie! 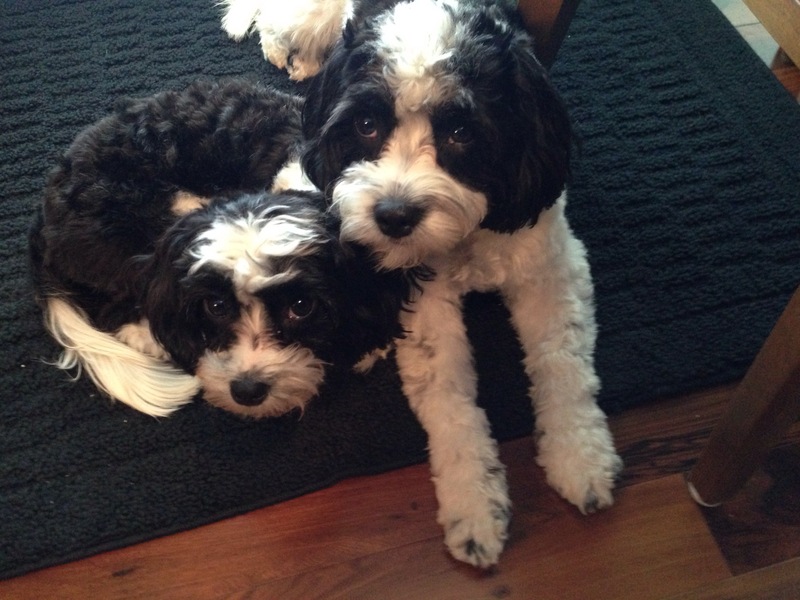 In June we adopted two darling pups from Sonny and Sadie’s litter. We had them flown to Chicago. We are sending you a recent picture of our sweet girls. Gracie is the little one. You were right..she is very small about 10 pounds. Ellie is twice her size. They are great friends and play with each other constantly. They are completely trained and so very lovable. They bring much joy into our home. I know you find homes for many pups, but we thought you might like to hear about two that are living together. We still think that it was such a lucky day when we came upon your website and found our puppies. Happy New Year to all! I am not surprised!! Cavachons are the sweetest! !